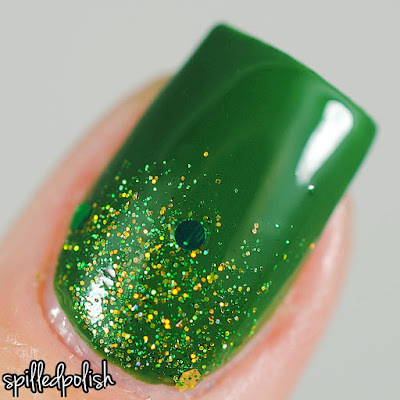 spilledpolish: Happy St. Patrick's Day! I felt like doing one more mani for St. Patrick's Day since I didn't have much going on this weekend. I painted my nails with two coats of Beyond the Nail - Forest Green Creme. When it dried, I lightly went over the top half of each nail with Beyond the Nail - Cloverdale. I topped each nail off with one coat of PRO-FX - Quick Dry Topcoat.